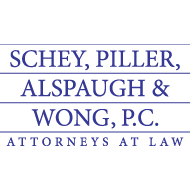 For over 100 years, the law firm of Schey, Piller, Alspaugh, & Wong, P.C. has served the greater Longmont, CO community and surrounding northern Colorado. Our firm continues to carry on the tradition of providing a wide range of high quality legal representation for a variety of issues. The firm also emphasizes representation of clients injured in accidents and worker's compensation cases, where more than five million dollars has been recovered for injured clients the firm represented. Call us for a consultation today.